At Spring Creek Dentistry, we are committed to providing our patients with the best possible solutions that modern dentistry has to offer. To uphold that commitment, we continue to invest in the most advanced technology available for quality, natural looking dental solutions that last a lifetime. Our 3D imaging machine makes goopy, messy impressions a thing of the past (thank goodness). Rather than having to sit still with a mouthful of mush, we use our 3D imaging machine to take 3D digital impressions that can then be converted into beautiful, precision restorations. 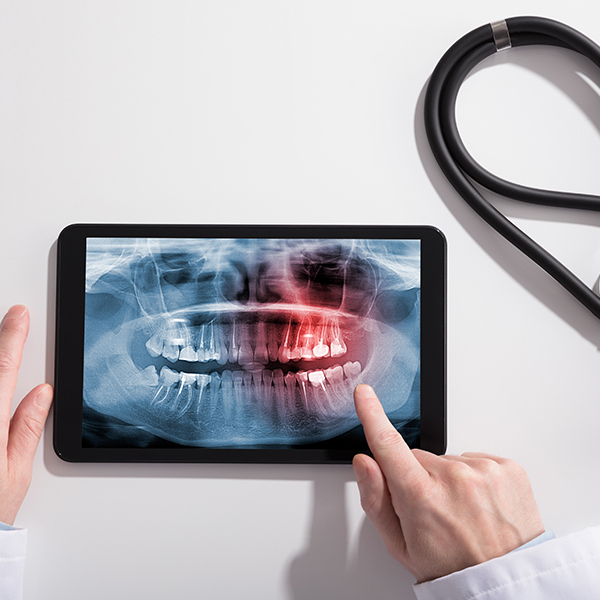 Our patients love that we offer digital x-rays. Digital x-rays use less radiation and are therefore much safer than traditional x-rays. They are also much more convenient as they can be taken and viewed right from the dental chair in a matter of seconds – so you can see what we see. Lasers have truly revolutionized the dental and healthcare industries. With our soft tissue diode laser, we can eliminate the need for cutting and sutures. This ensures procedures that are much less invasive, require far less recovery time, and results that are more predictable. Come see us at Spring Creek Dentistry today to learn more about our latest technology. If you have any questions, or would like to schedule an appointment with your Spring dentist – Dr. Oakley, Dr. Henley, Dr. Miller, or Dr. Wendt – please contact us today at (281) 407-8333 .